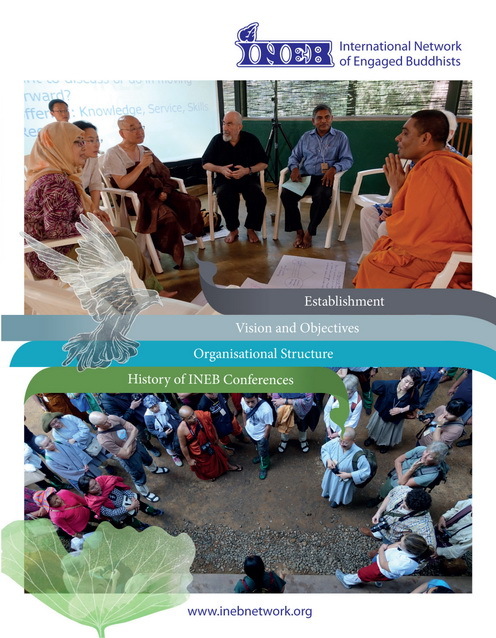 The International Network of Engaged Buddhists (INEB) began in February 1989 in Siam (Thailand) at a conference of 36 concerned ordained and lay persons from 11 countries. From the beginning, the network has been guided by leading founder Sulak Sivaraksa of Thailand. 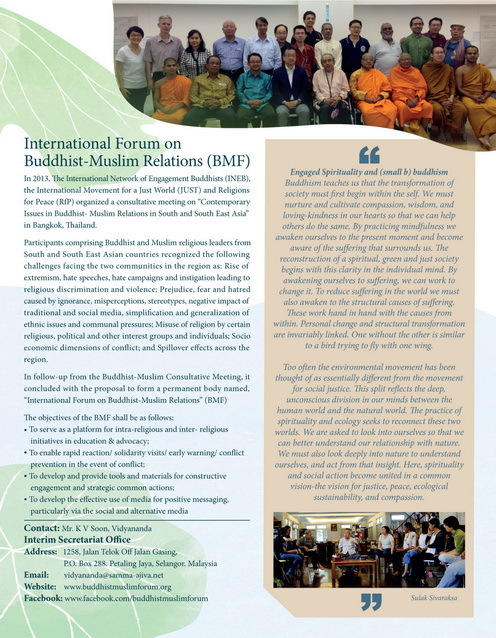 Over the years, the network has expanded to assemble Buddhists as well as non-Buddhists from more than 20 countries from Asia, Europe, America and Australia. 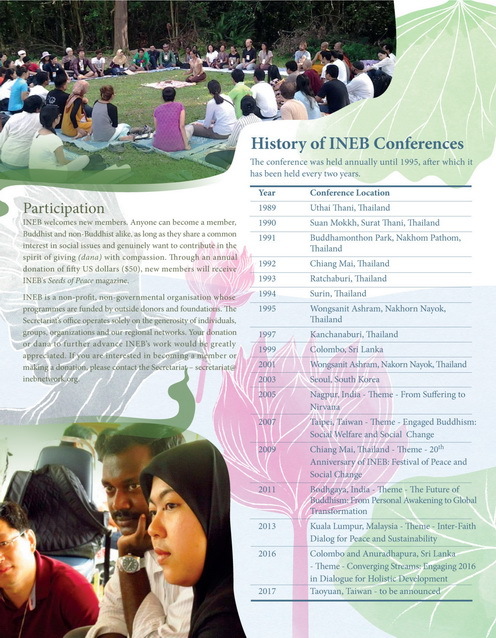 Out of this diversity, INEB has become the leading voice in articulating Socially Engaged Buddhism in the world, while integrating the practice of Buddhism with social action for a healthy, just, and peaceful world. This commitment to global community based on the universal truths of wisdom and compassion guides all of our activities. 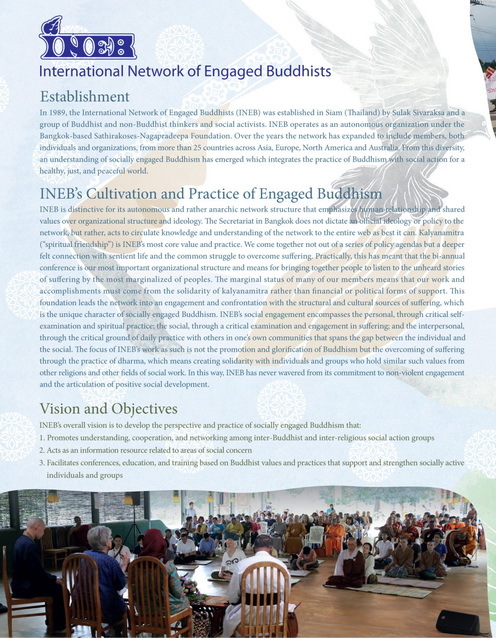 INEB brings together Buddhist and non-Buddhist based organizations around the world to share resources and to support each other?s healing work in the world. 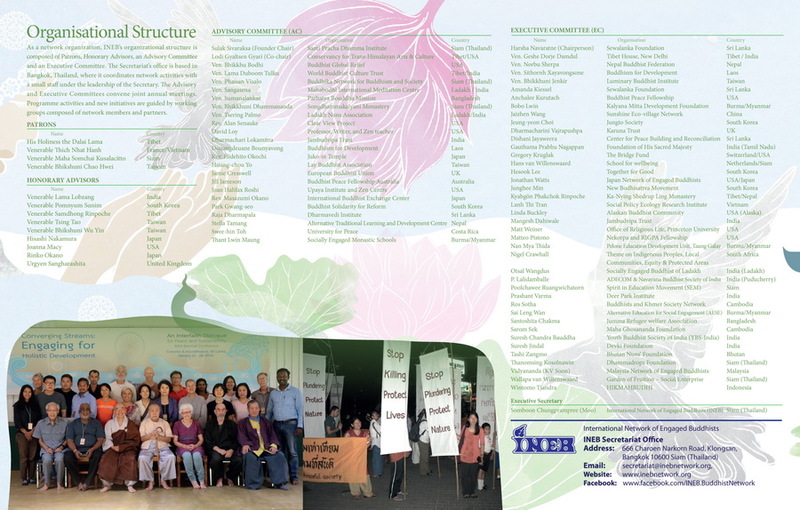 The network also links activists, spiritual leaders, academics, and young people in areas of common concern. INEB is rooted in the treasure of personal relationship that raises the original spirit of sangha in a contemporary, multi-cultural context. 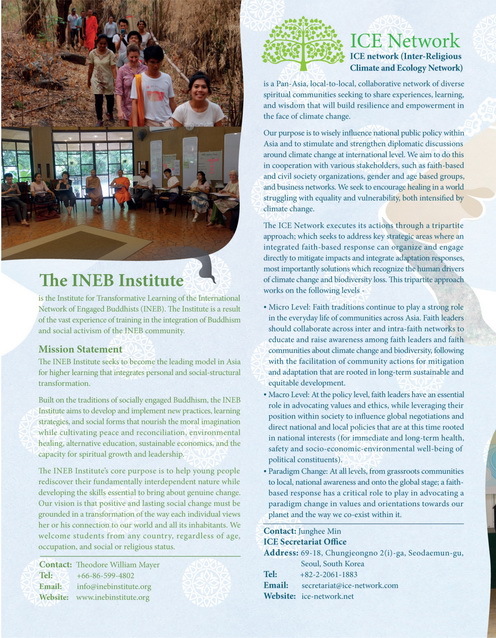 INEB participants work in a decentralized manner, while the Secretariat in Thailand maintains a flow of information, support, and cohesion, with programs and joint activities that build participants? capacities. The deepest resource of the INEB vision is our contemporary understanding of taking refuge in the Three Treasures ? Buddha: our enlightened nature; ? Dharma: the teachings of reality; ? and Sangha: the community of practitioners. To promote understanding and cooperation among Buddhist countries, Buddhist sects, and socially conscious Buddhist groups. To identify and address the structural and personal suffering facing our communities, societies, and the world. To articulate the perspective of engaged Buddhism regarding this suffering, and to train Buddhist activists to respond effectively. To serve as a network of information and resources on engaged Buddhism. 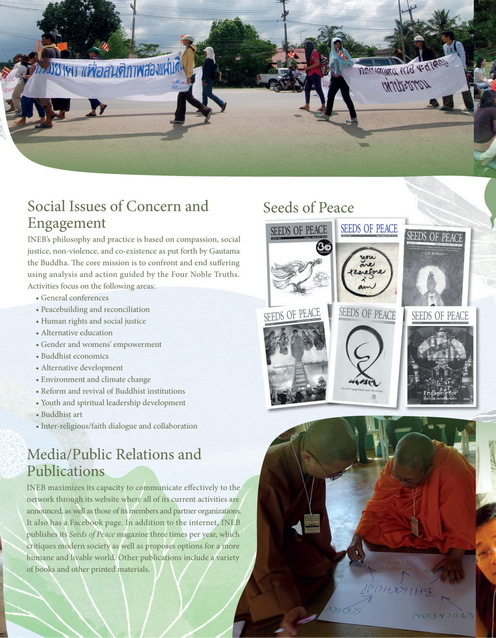 To cooperate and collaborate with activists from other spiritual traditions and social change organizations.